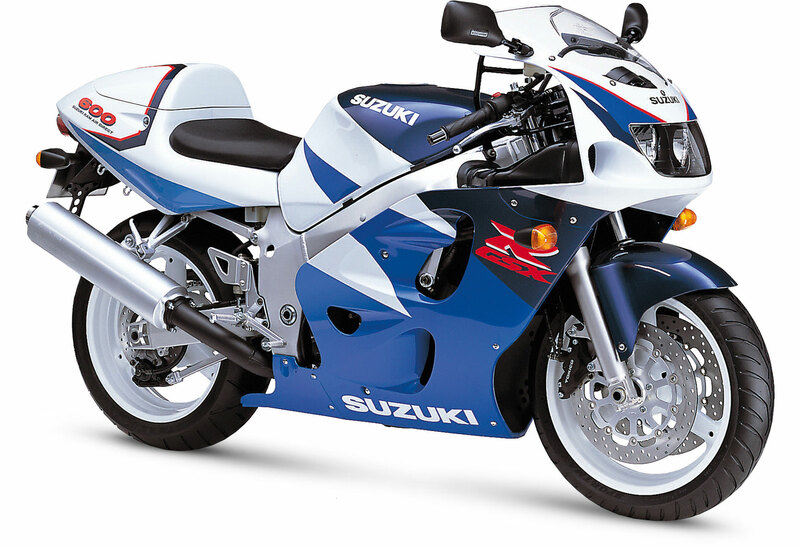 Suzuki GSX-R600 Model History 1992 – 2012Page 1: 1992 to 1996 – Suzuki GSX-R600 in a class of it’s ownPage 2: 1997 to 2000 – 2nd Generation Suzuki GSX-R600 with SRADPage 3: 2001 to 2003 – 3rd Generation Suzuki GSX-R600 with Fuel InjectionPage 4: 2004 to 2005 – 4th Generation Suzuki GSX-R600, new look, new updatesPage 5: 2006 to 2007 – 5th Generation Suzuki GSX-R600, all new againPage 6: 2008 to 2010 – 6th Generation Suzuki GSX-R600 redesigned and with S-DMSPage 7: 2011 to today – 7th Generation Suzuki GSX-R600, shorter, lighter. 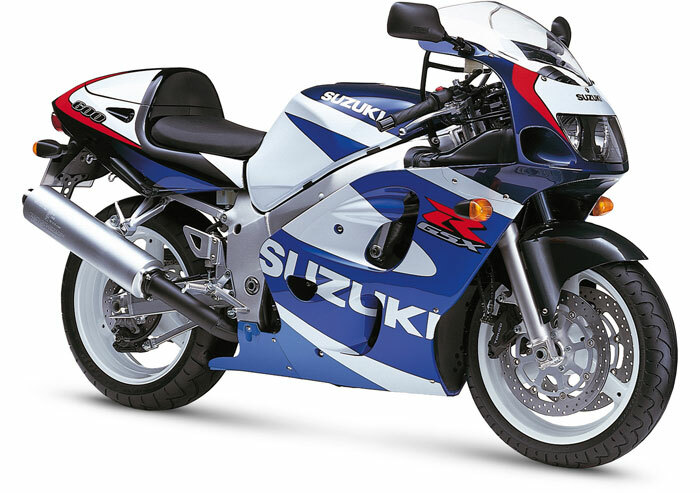 The 2nd generation Suzuki GSXR-600 featured a new engine and chassis working together to make the 1997 Suzuki GSX-R the lightest, the most compact, the best handling and the hardest acceleration 600cc 4-cylinder production machine in the world at the time. Even though the Suzuki GSX-R600 was introduced in 1992, the 1997 Suzuki GSX-R600 (an onwards) were produced in greater numbers and most likely the first GSX-R600 model riders remember due to this factor. 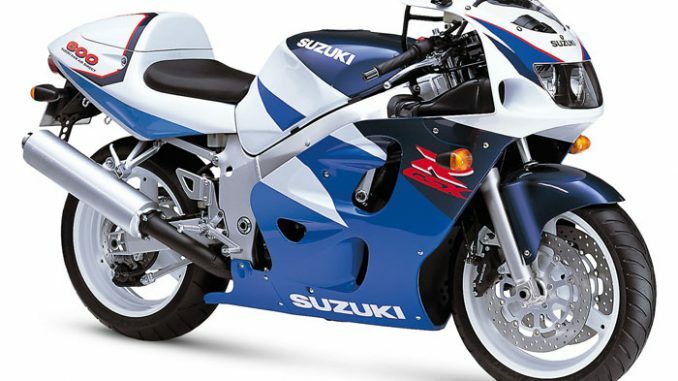 The GSX-R600 was a street-going racer replica with Grand Prix technology used in the Suzuki RG racing motorcycle brought to the killed street rider. 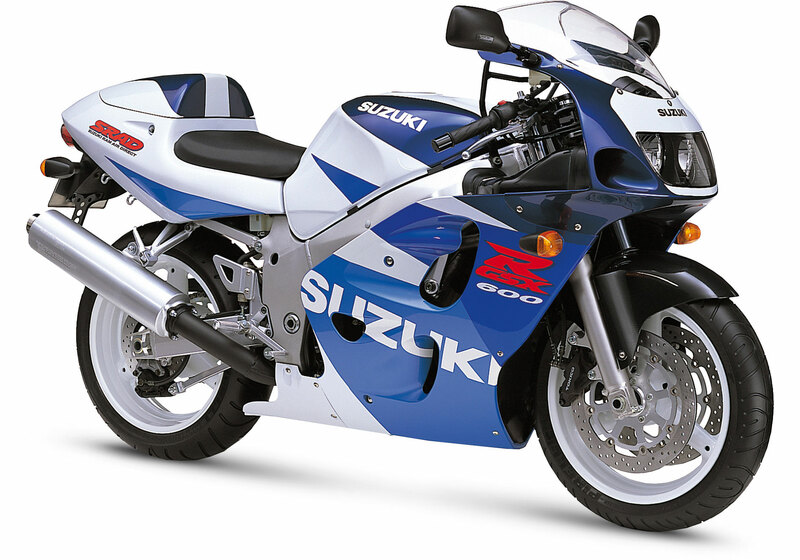 The 1997 Suzuki GSX-R600 also saw the introduction of SRAD (Suzuki Ram Air Direct). Air intakes at the front that force air directly into the airbox. All models after 1997 have employed this design. No major changes other than graphics. 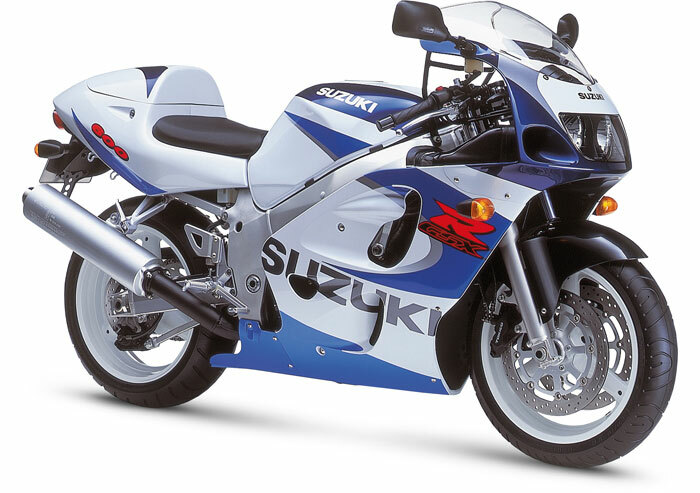 The 1998 GSX-R600 featured new graphics with “600”, SRAD (Suzuki Ram Air Direct) being added and the Suzuki logo changing to a more agressive position on the fairing. Also note the front fender is changed to black while the rear seat cowel, headlight fairing and tank changes their stripes. No major changes other than graphics. The 1999 GSX-R600 featured updated graphics with “600”, SRAD (Suzuki Ram Air Direct) being removed. Minor stripe graphic changes throughout the fairings. Engine type: Water-cooled 600 cc inline-4, DOHC, 16 valves. 110 hp (80,9 kW)/ 11.800 rpm, 67,6 Nm / 10,000 rpm. Like the 1994 and 1995 version, very few 1996 GSX-R600 models exist today and is a real collectors item. If you do see one or find a bigger photo of one, please send us the photo to use. The above photo we suspect is a 1996 GSX-R600 but cannot verify. Specs are correct for the year.